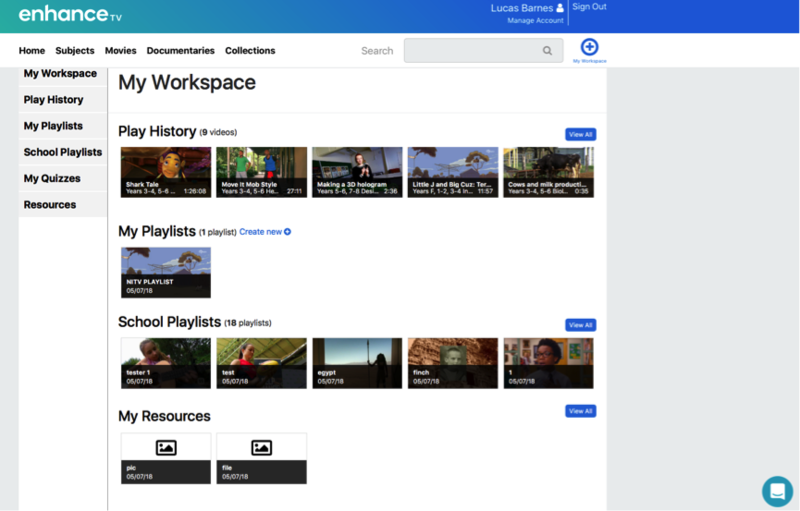 My workspace is a feature designed to give you a clear and comprehensive overview of your Viewing History, My Clips, Created Playlists, School Playlists, Saved collections, Quizzes and Resources in the one accessible place designed to save you time. To view My Workspace, click on the My Workspace icon underneath the sign out icon. This view will display a maximum of 5 thumbnails for each category, giving you quick and easy view of your saved content. For a more comprehensive view, click on the relevant sub menu item on the left or click "View All".